Iconic fashion designer, known simply as Bijan, has passed away last Saturday from complications due to a stroke. Bijan's Rodeo Drive store was known as "the most expensive store in the world." and was only open by appointment. His client list included President Barack Obama, Gov. Arnold Schwarzenneger, Tom Cruise, UK Prime Minister Tony Blair, President Ronald Reagan, and hundreds of other notable people. Several of Bijan's collectable custom cars would often be seen parked in front of his store, including his million dollar Bugatti Veyron painted with his logo on the hood. 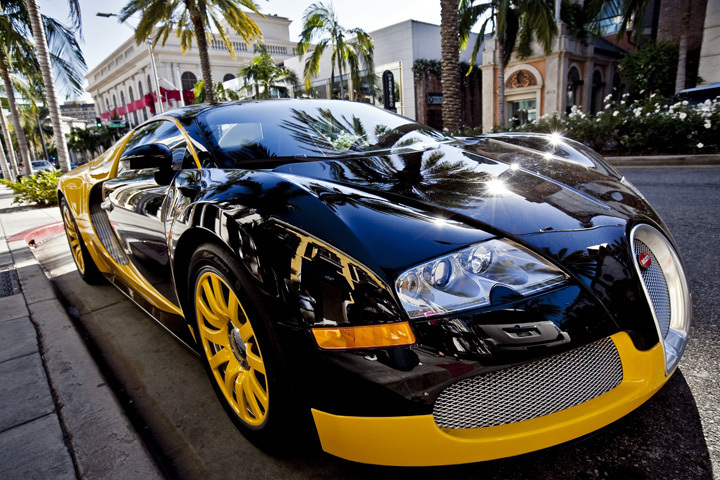 Bijan's custom Bugatti on Rodeo Drive.